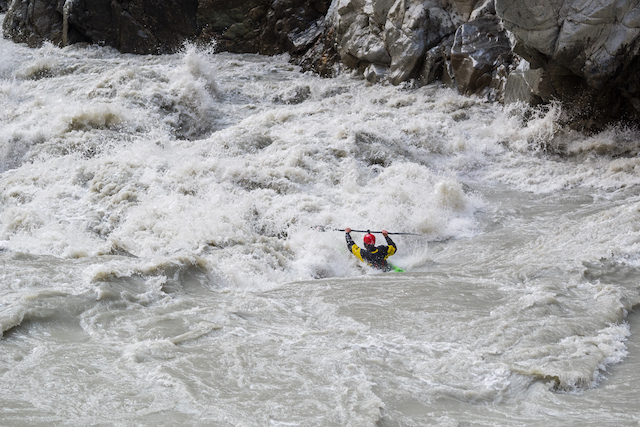 World-renowned big water kayaker Sam Grafton passed away while kayaking Ernie’s Canyon of Washington’s Snoqualmie River on Feb. 10, 2018, leaving a hole in the hearts of all who knew and paddled with him. This article remembers him a year later, and the positive impact he still has in the authors’ lives. By Wes Dixon. 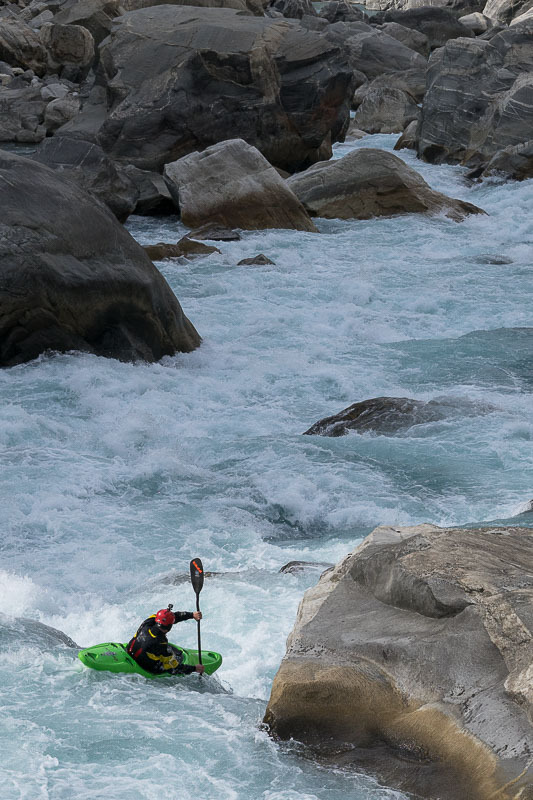 If you’re part of the kayaking community and never met Sam Grafton, you’ve likely heard stories of his kayaking pursuits and determination to advance the sport, especially regarding big water. 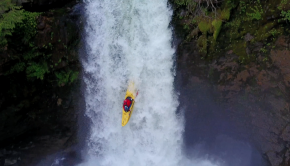 Sam grew up in Index, Washington—the epitome of a small Cascadian mountain town, known for its big-wall climbing and whitewater. Index is nestled on the right bank of the North Fork Skykomish, so it’s natural that Sam picked up kayaking. 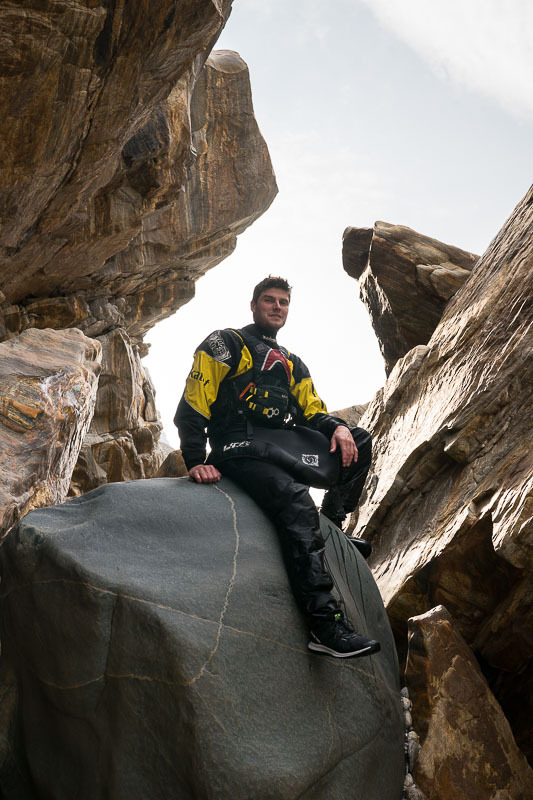 Sam quickly rose to the top of the ranks with the help of such local legends as Rob Mckibbin, Darren Albright and many more, who mentored and shaped him into the kayaker he became. Sam not only possessed an uncanny fire for the sport, but a compassion for helping others—a true testament to his character. Sam was a full time RN for Seattle’s Swedish Hospital and a volunteer firefighter/EMT for the local fire department in Index. His compassion set him apart and made him enjoyable to be around. 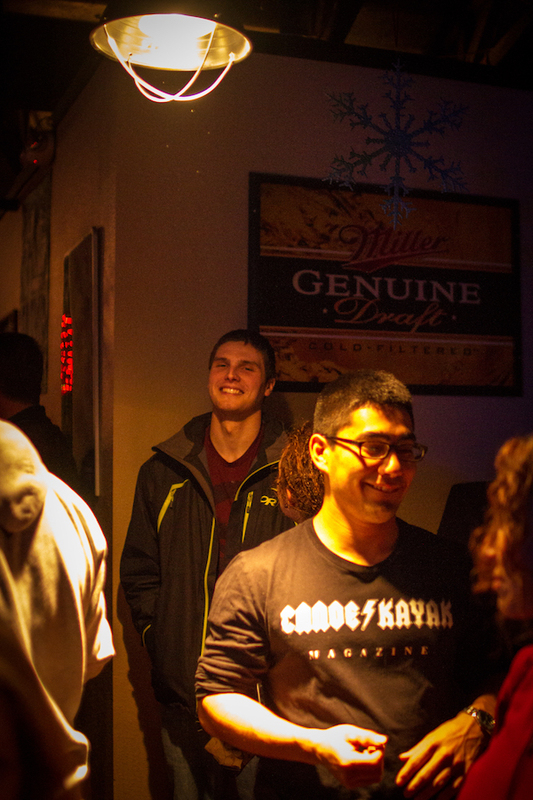 Sam inspired people with every interaction, seemingly unaware of his own impact on others. The culmination of his selfless demeanor, exuberant personality and drive to push his limits is why Sam is still at work in all of us today. In 2017, the year before he passed away, Sam completed one of his stoutest paddling years ever. 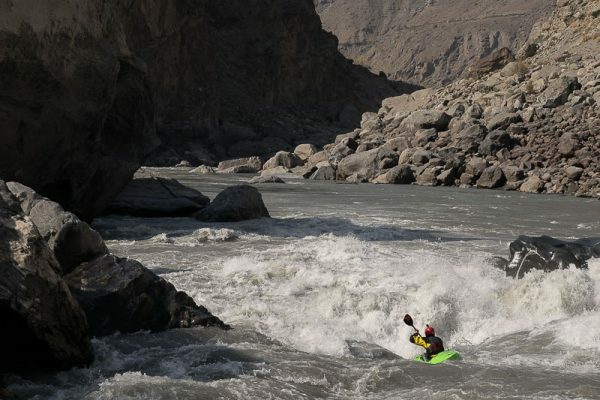 He paddled the Rio Baker in southern Patagonia, the Stikine in northern BC, the Saryjaz in Kyrgyzstan, the Indus in Pakistan, plus many, many more. 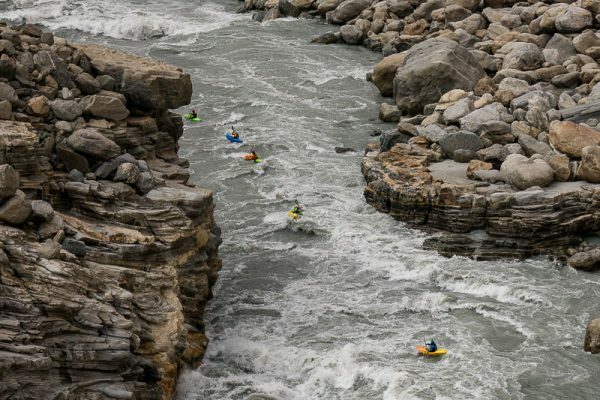 Paddling all of these classic big water rivers in a lifetime alone would be an incredible accomplishment; Sam managed to kayak all of them in ten months. 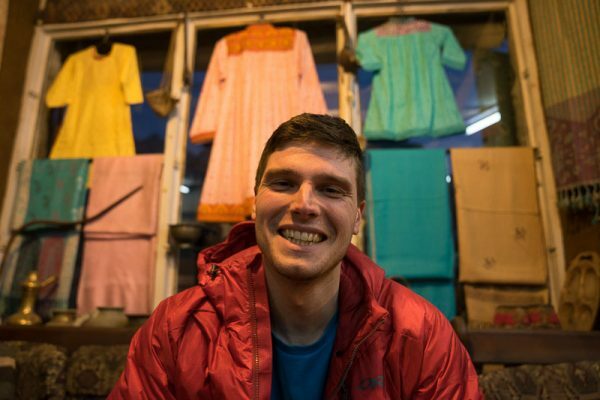 I still remember the enthusiasm in Sam’s voice when he returned from Pakistan last year, describing its “unreal potential” for exploring both big-water paddling and mountaineering. He loved discussing bigger goals that ambitiously built on his prior trips; he was constantly inspired to do more than he previously imagined possible. 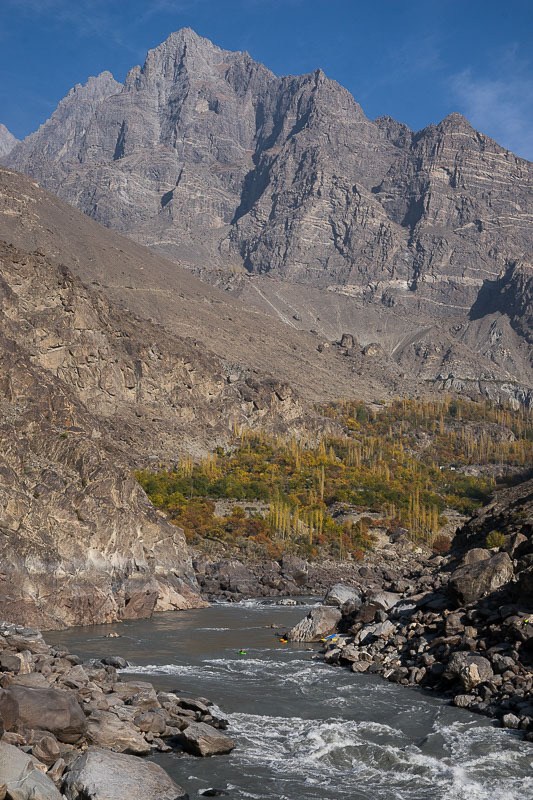 Upon our own arrival in Pakistan, we learned from our guides at Golden Peak Adventures that Sam had been planning a return trip for September 2018 to combine a multi-day trek around Karakoram 2 (K2) with an early season, high water descent of the Braldu River. We were excited to learn about Sam’s plan and were motivated to journey up the Braldu Valley—adding another river to our itinerary. 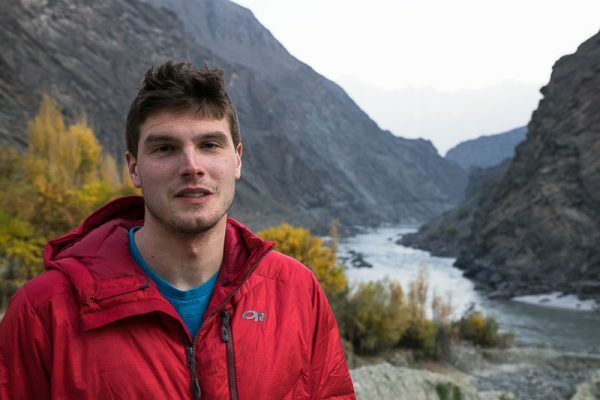 Sam was our driving force in Pakistan as we re-traced his 2017 missions on the Gilgit, Hunza, Indus, Astor and Braldu rivers. 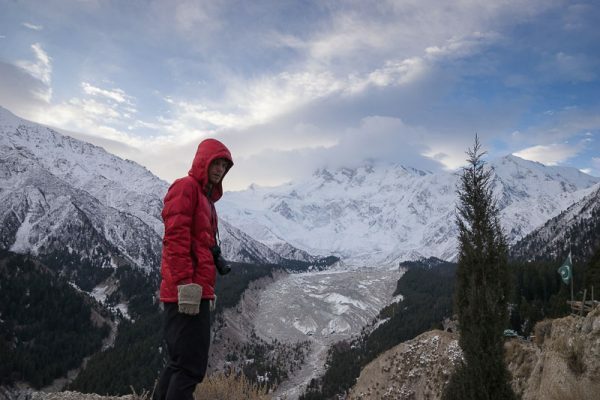 We fell in love with the Braldu instantly, especially the “last-stop” village of Askoli, gateway to four of the world’s highest mountains: K2, Gasherbrum 1, Broad Peak, and Gasherbrum II, all exceeding 8,000 meters. Sitting so close to the glacial outflow of the second tallest mountain in the world, above 20 miles of excellent boulder garden-style whitewater, we realized exactly why Sam was plotting a return here. We felt as if we had traveled back in time, to a place of beauty and hostility, to one of the most unique river systems on the planet. I constantly found myself in situations on and off the river thinking the same thing: “Sam would have wanted us to be doing this.” Sam’s stylish, focused way of living motivates me each day to work harder in pursuit of my dreams. His approach to nurturing relationships with family, friends, rivers and mountains is an endless source of inspiration. 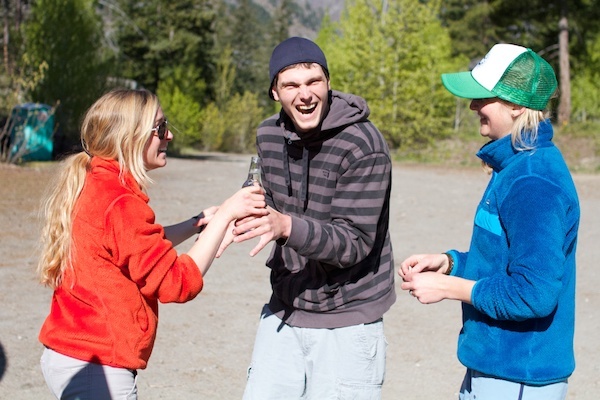 The first time I paddled with Sam was incidentally the first time I paddled the Stikine River. Afterward, we quickly realized we loved the same style of paddling. When I moved to Sam’s hometown of Index, Washington, we immediately became each other’s go-to paddling partner. In fall 2018 several of Sam’s closest friends journeyed to the Stikine to take his ashes down one of his favorite runs. After an emotionally stirring release of some of his ashes into the river at the put-in, we shoved off, with Sam’s presence all around us. 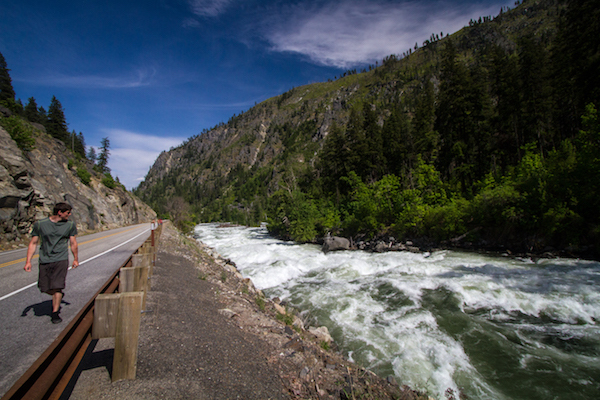 Fast forward to The Wall rapid, where we scouted one of the run’s most committing pieces of whitewater. As I snapped on my sprayskirt, I placed my lap bag containing the rest of his ashes precariously on the rocks. With nerves high, I peeled out of the eddy and ran the gauntlet of waves and holes, unwittingly leaving the bag—and my dear friend Sam—lying alone on the black rocks of the Stikine. It wasn’t until we got out to scout the next rapid, Garden of the Gods, that I realized what I had done. My heart sank as I knew the perilous journey I’d have to undergo if I wanted to retrieve Sam. I explained my egregious error to the rest of the group. What were we to do? Hike back up and try to rappel into the chasm with our throw bags? As we discussed the few terrible options we had, I spotted a log floating towards the entrance of Garden of the Gods. As it neared, I quickly realized it was, in fact, my dry bag, with Sam on board, floating down the middle of the mighty Stikine. 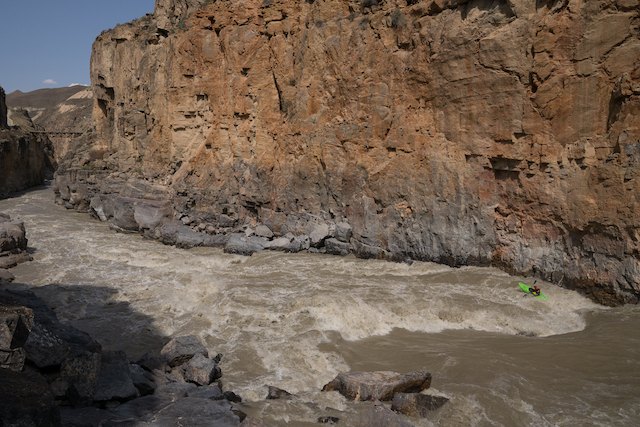 With some whistle blasts and frantic paddling, we managed to secure the bag, but not before Sam (like he was so used to doing) ran two of the biggest rapids on the run…solo. With shaky hands and utter disbelief I found Sam’s pendant safely nestled amongst my (slightly damp) belongings. 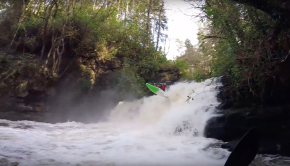 It turns out Sam’s defiant nature was still strong, and he proved to us he wanted one more solo lap down some of his favorite whitewater. With laughter and hugs, we made it to Wolf Track camp, where we committed Sam once more to this place of legend. Sam’s strength of character, steel nerves and committed vision have continued to inspire those in his community and will for decades to come. Much love to you brother, and everyone privileged enough to be in your presence. It’s hard to convey the entirety of an individual, and the wake their life created through your own. Sam was a part of almost a decade of my life—one full of roadtrips, fireside discussion of our favorite runs, and evening phone calls about life and our adventure though it. Sam left an indelible mark on my life, and I’m happy remembering our friendship. The first time I paddled with Sam was on Washington’s Upper Upper Cispus River. Neither of us had paddled it before and our nerves were frayed but our stoke high. I was sweating in my drysuit and this tall kid from Index was telling me about all the new runs he couldn’t wait to paddle. While I was rehearsing my lines, Sam was already rehearsing for bigger and bolder runs. We had an amazing day on the water, and saying goodbye at the takeout, I had no idea how big a role this young man would play in my life in the years to come. Sam and I both started creek boating at about the same time. 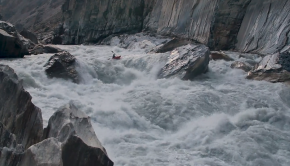 We met, that day on the Cispus, through local Index paddler Rob McKibbin. Rob had been showing me down most of the classic rivers of the Pacific Northwest, during my first season with a creek boat. After a couple more trips like the Cispus and a pilgrimage to Idaho, Sam and I became fast friends. His skills quickly surpassed my own and I soon became apprehensive of his texts whenever it was raining. One way he helped shape me as a kayaker was through his constant encouragement that those runs I dreamed of really were achievable through planning and practice. Sam was a firm practitioner of habituation. It wasn’t uncommon to watch him run lap after lap on some of the bigger rapids on our local runs. Sometimes he would do it to train, and other times solely on principle. 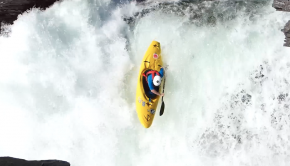 “This is some of the best whitewater in the world,” he would tell me. And then he would hike up and run it again. This kind of mindset greatly affects your frame of reference, and is highly entertaining to watch from the side of the river. To me, experience in life is best shared. Solo moments can be packed with meaning, but getting a fast smile and a head nod at the bottom of a drop has more substance. 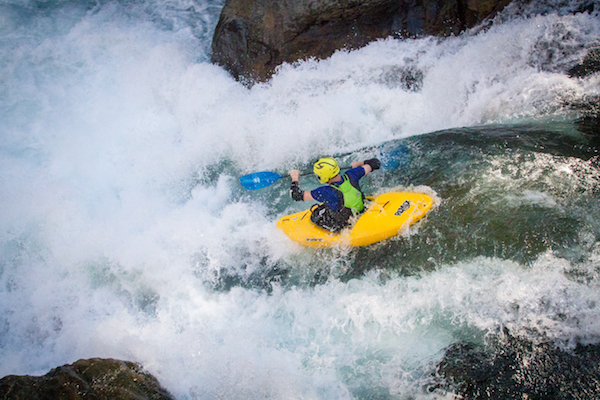 I have memories of countless Robe Canyon laps and even more evening sessions in Tumwater Canyon. All of them provided constant feedback, creating who I am today. I got to dial in my boof stroke with Sam. I got to follow him down the Grand Canyon of the Stikine, deep canyons in British Columbia and steep creeks in Idaho. Sitting around the campfire and discussing lines, looking through photos and sharing our time. These moments make memories and these memories make up a lifetime. Thank you Sammy G! I snap my skirt on, the eddy surges, and a smile creeps upon my face. Flood season is here. It’s two months late and I feel like I’m being jolted out of hibernation. 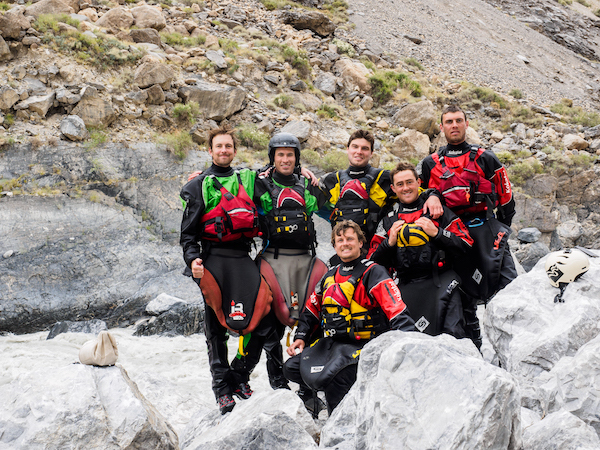 I think of my best friend Sam Grafton, who, like many of us kayakers, looked forward to flood season the most. We both lived in Index, Washington. 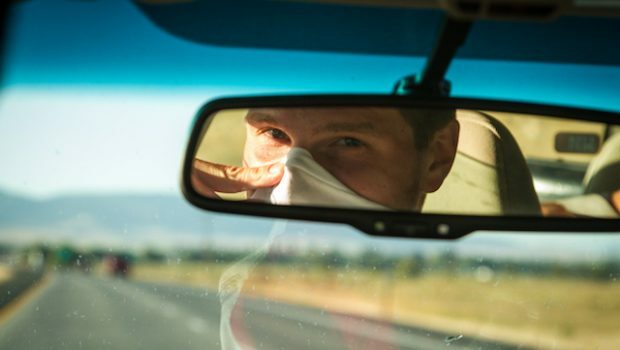 Every time the rains arrived, he would show up at my door, gear on, dripping from his previous lap with a huge smile on his face, urging me to join him for the next run. The last time we paddled, the Skykomish came up to 20,000 cfs. I had never paddled the main section that high. As Sam and I set shuttle I confessed I was nervous. With an astounded look of utter confidence he replied, “Oh come on, Janelle, you have it.” He was right. Sam’s faith in himself, and other people, was infectious. His propensity to connect with others coupled with his ability to see what we are capable of made us believe in ourselves. After Sam died, I felt like I had lost a huge support system. That same sentiment was echoed by his various communities: the town of Index, EMT/Fire, kayaking and many more. Sam had the ability to remain connected to a tremendous number of people by investing in their lives. He would call a few times weekly to check in, listen, and offer advice. The morning of his passing he called me to talk over his motivations for putting on the river, to check in about my recent life changes, and to express his love. I feel incredibly grateful to have shared such a powerful friendship with him. Today, sitting in the eddy on another flooded river, I feel strangely calm, happy and confident. Why? Because I found Sam again. Flooded rivers were where he came alive and where I heard his voice again. When I listen, I hear his encouragement echo in the boulders crashing below me. I hear his positivity reverberate in the stories friends recount. I hear his love in his family’s voice when they tell of his mulleted childhood. I hear his passion in the roaring of the river as the floods arrive. Even though it has been one year since we lost Sam, it feels like just yesterday we were making memories with him on and off the river. Why was Sam taken from us so early and what can we take away from this tragedy? The question bigger than us, but we do know life is fragile and every second should be cherished. While interacting with Sam, it was easy to see that he lived like every day was his last. He took advantage of all opportunities that came his way. With time, many of us could get complacent, but Sam was quite the opposite — he was always attacking. We all knew this about Sam, but now that he is gone this impact is exponentially greater. This personality trait, his rallying ability, will influence us in perpetuity, both on and off the river. 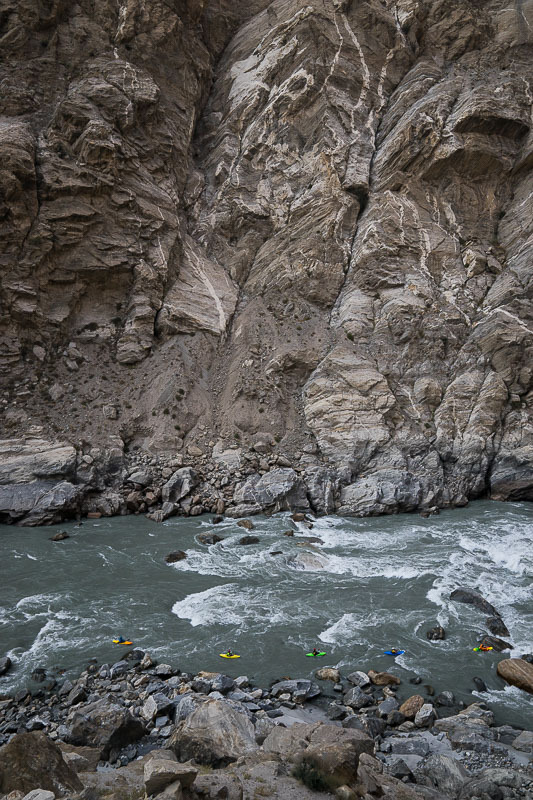 Following in Sam’s footsteps this year to the Baker, Stikine and Indus, we were amazed and humbled by the path he has set and his legacy as a legendary friend and paddler. We hope that Sam’s impact will continue to grow, even within those who didn’t know him. Many of us are still mourning and healing from this loss, and it is safe to say we all carry a piece of Sam every day. When we wake up in the morning, let’s be reminded that life is short. And while it is easy to settle for the norm, let’s remember the focus and intention Sam brought everyday in pursuit of his dreams. Sam’s style and inspiration live on, giving us constant energy to #SendItForSam.